Letterpress broadside. 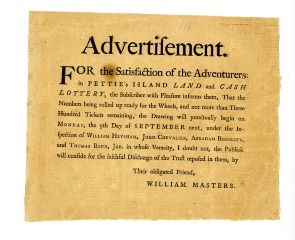 Text: "Advertisement for the satisfaction of adventurers in Pettie's Island land and cash lottery." Signed William Masters.